Many years ago, I worked in a corporate communications job during the day and painted in the evenings. 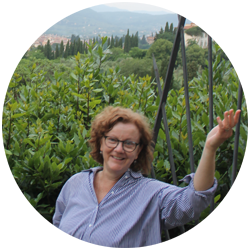 I was living in an apartment in midtown Toronto and having a garden of my own was only a dream. Each spring, I would take an alternate route home from work for about a week or two. It was a winding road through a beautiful residential neighbourhood. 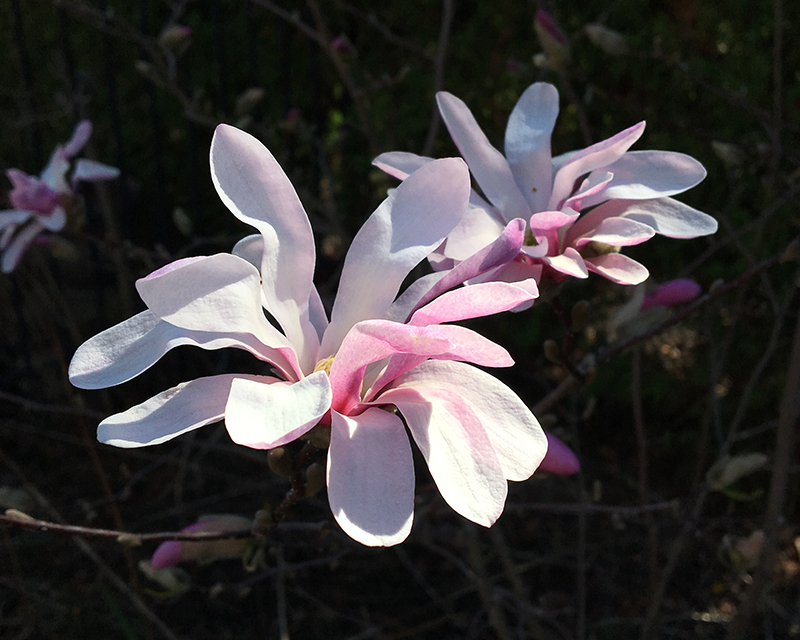 Around a curve and at the top of a hill was the reason for my detour--a gorgeous magnolia tree in bloom. 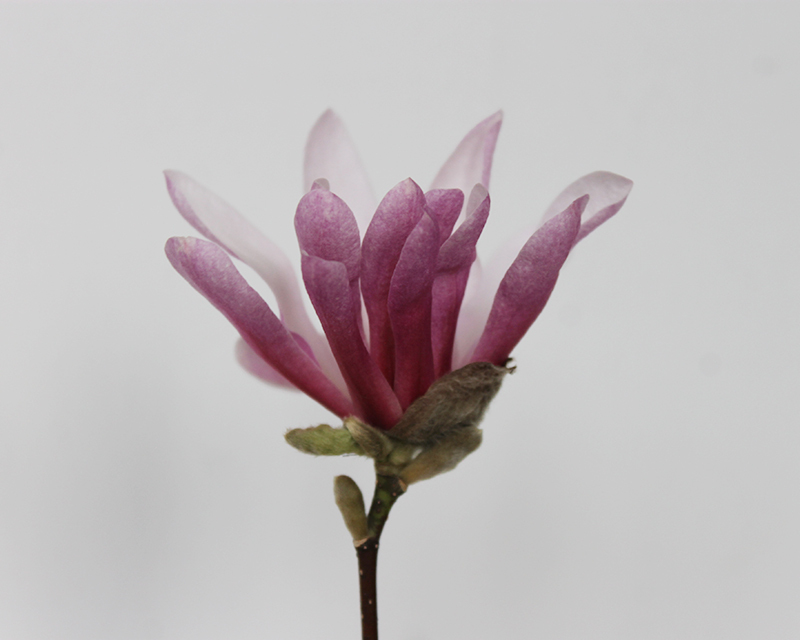 Years later, I finally have my own magnolia tree in my very own garden. 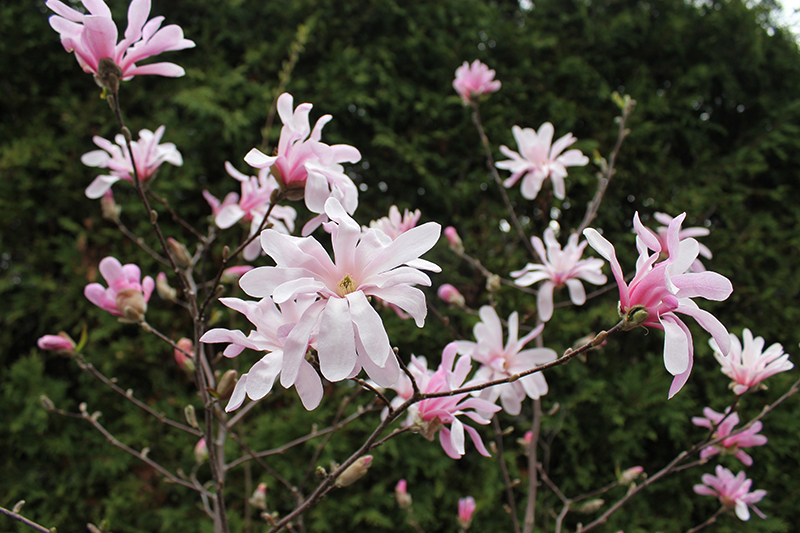 It's a pink star magnolia called Magnolia stellata 'Rosea'. I planted it about ten years ago. It's very slow growing and has taken a long time to get established. It's still quite small, about my height, but the blooms are now plentiful and spectacular. 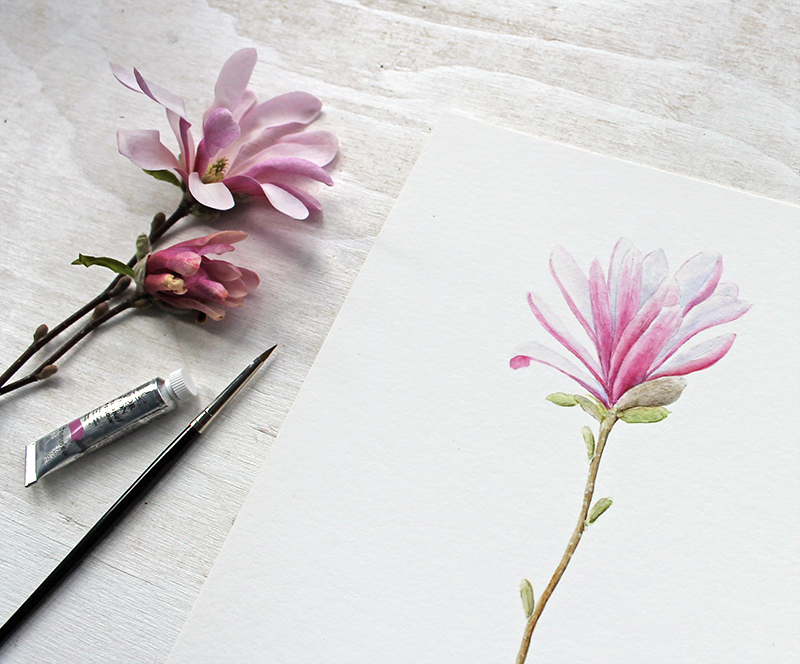 Last week I decided that I needed to paint one of its flowers! 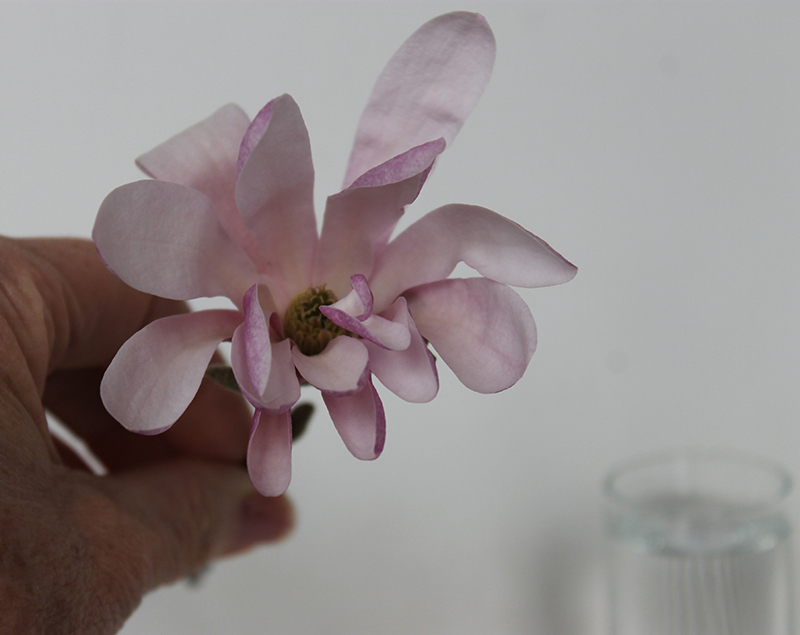 I took a few photos of the blossom I was going to paint to be sure I had references as I knew it wouldn't last long. Here's my painting on the second day when I was still building my washes. I paint slowly! The bloom I picked wilted after about 24 hours which is when I dissected it to have a closer look at the colour and markings on the petals. 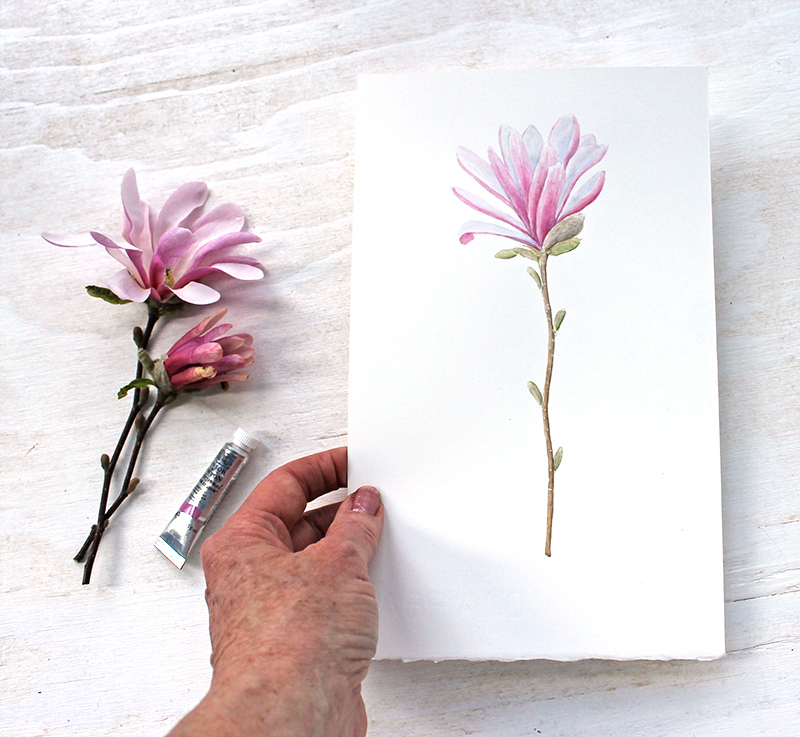 I love holding garden specimens as I paint them. It allows me to observe their details closely. 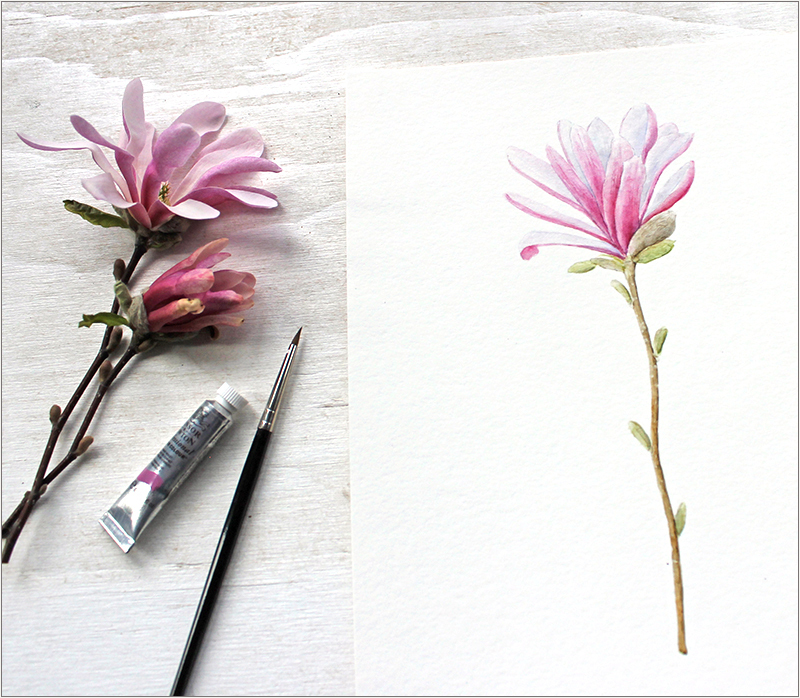 For example, I had never noticed the little speckles on the magnolia tree's bark until I was doing this painting. It took me three painting sessions over the same number of days to complete the painting. Below is the finished original watercolour painting! 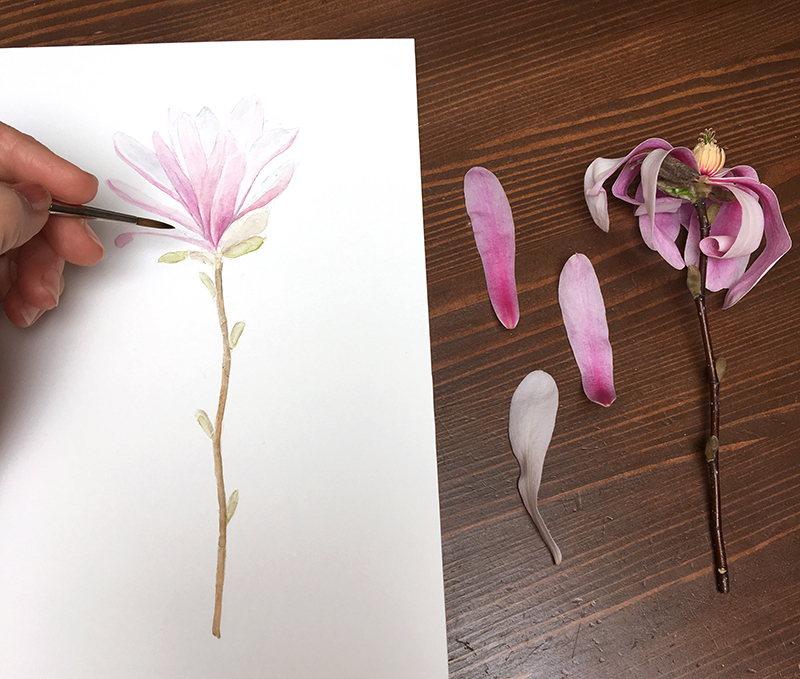 After I completed my painting, I knew I had to create a print pretty quickly if I wanted to photograph it with actual magnolia flowers as the blooming period lasts for such a short time. 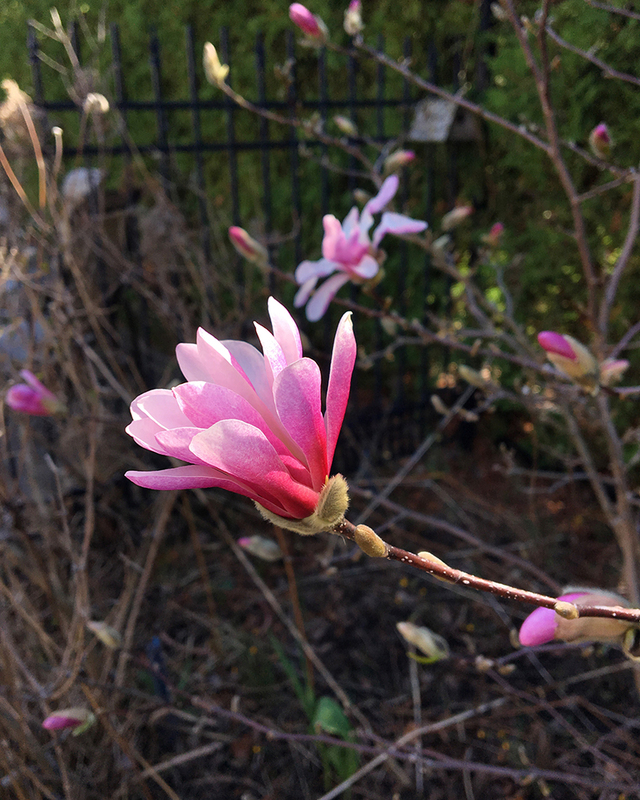 Each morning when Meeko ran to the back door to do his morning check for squirrels, I would make sure the magnolia hadn't lost its blossoms. To each his own priorities! I am happy to say that I completed my print in time! 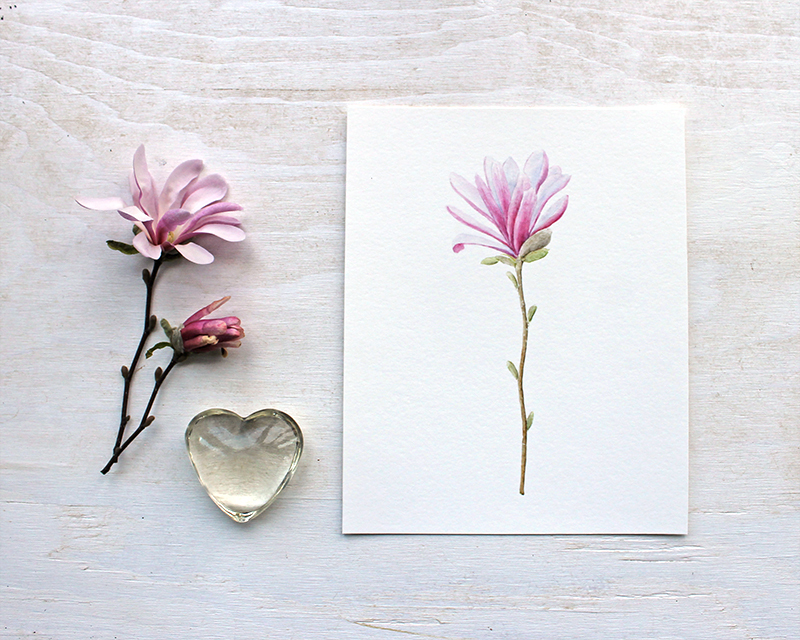 Here are some photos of my star magnolia print which is now available in my art shop. 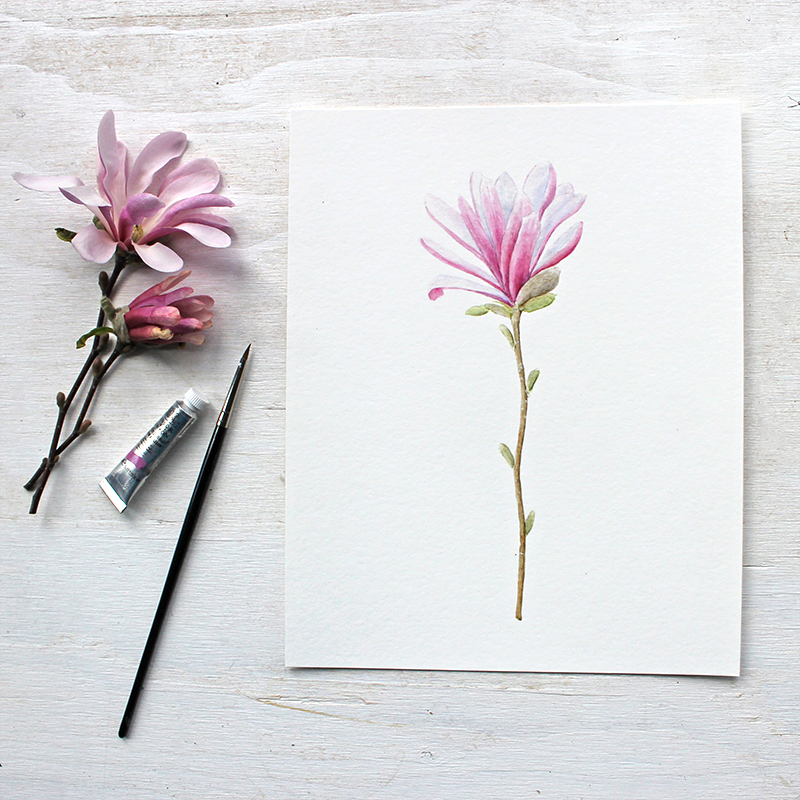 It's printed on gorgeous paper that reproduces the delicate details of the image beautifully. 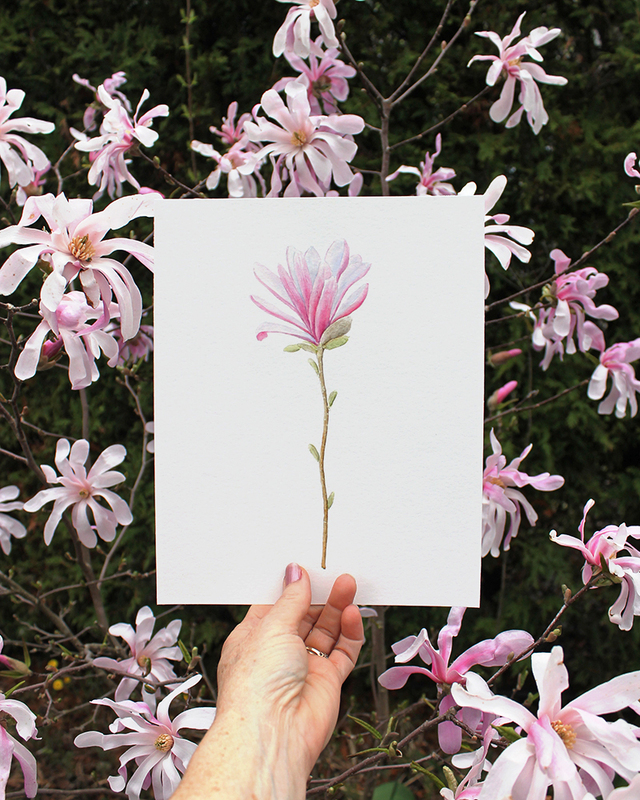 Here is my print in front of the magnolia tree that inspired it! You can have a look at more images of it here. Now I wonder what flower I should paint next?